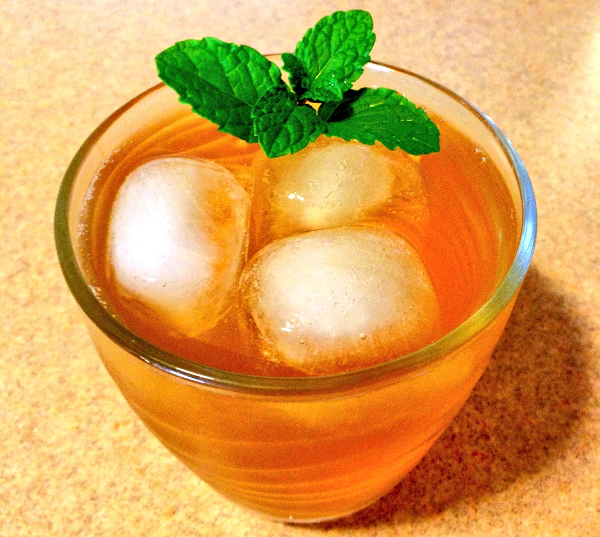 Combine iced green tea, lemon juice, aromatic bitters, sweetener (optional), and ice in a shaker. Shake until well mixed. Pour all contents into a rocks glass – do not strain. Top off the glass with soda water (or ginger beer). Add a small sprig of fresh mint as a garnish. You can also add a lemon wheel as a garnish, if desired. Enjoy!